What is normal? A definition I like is “the usual, average, or typical state or condition.” So, what would most mid-Westerners think of as a “normal” landscape? How about a landscape dominated by lawn, a few foundation plantings with uninspiring, “tidy” perennials and shrubs that serve no real purpose other than to take up space? In my opinion, this describes many of the common landscapes we have seen over the past 20-30 years, including some areas around my own house. The “new normal” reflects a current state of being after some dramatic change has transpired. It replaces the expected, usual, and typical with exciting, productive, purposeful, beneficial and sustainable. I believe that over the past few years we have seen a renewed interest in landscaping that fits this description, and that soon, landscaping with native plants will become the new normal. Through increased interest in our native plant sales, native landscaping classes and educational programs, we are witnessing a collective realization that there are significant benefits to utilizing natives in the garden, benefits that make sense both for people and for the wildlife that depend on these plants for their survival. We as a society have also come to understand, we don’t have to give anything up in the process of developing an eco-friendly landscape. 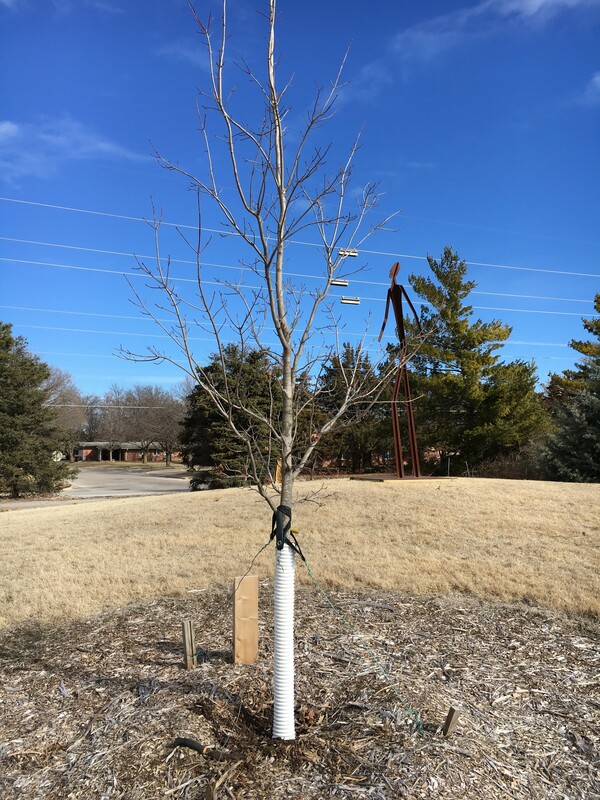 It is interesting and ironic that this “new normal” of landscaping with native plants is taking us full circle here in Kansas, back to our prairie roots. There is no such thing as a no-maintenance landscape. However, if we emphasize selecting plants that grow naturally in our area and matching them to our site, maintenance will be drastically reduced. 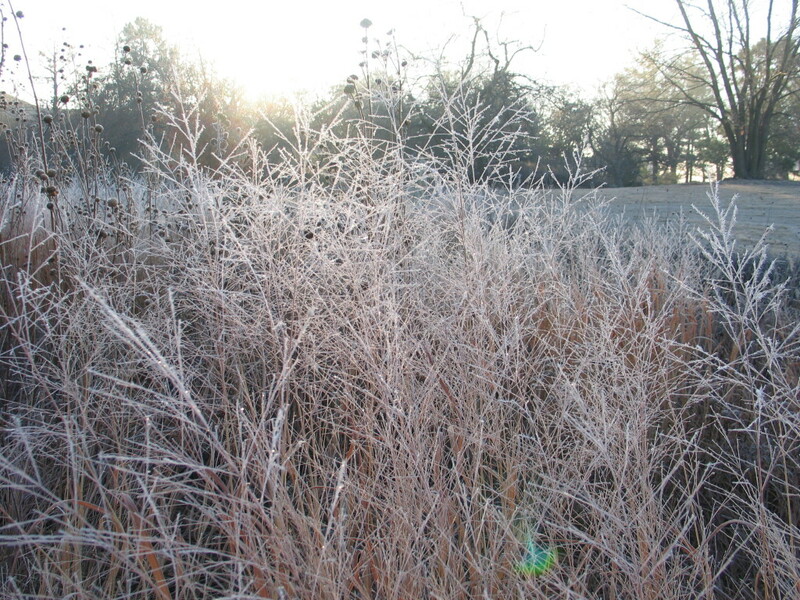 Native plants have adapted to local conditions. Once established, the deep roots of the prairie natives will take them through prolonged periods of drought. Healthy plants require less maintenance, are stronger, are less prone to disease, require less water, provide beautiful blooms while growing in the toughest environments, therefore reducing our time in the garden and increasing our enjoyment. The new normal is to select plants that go naturally with the place we live, rather than planting traditional landscapes that often try to change the place to accommodate the plant. The new normal is a renewed awareness of the natural beauty of the prairie and a recognition that we can have a part of it in our own gardens. Even in most urban settings, wildlife surrounds us. 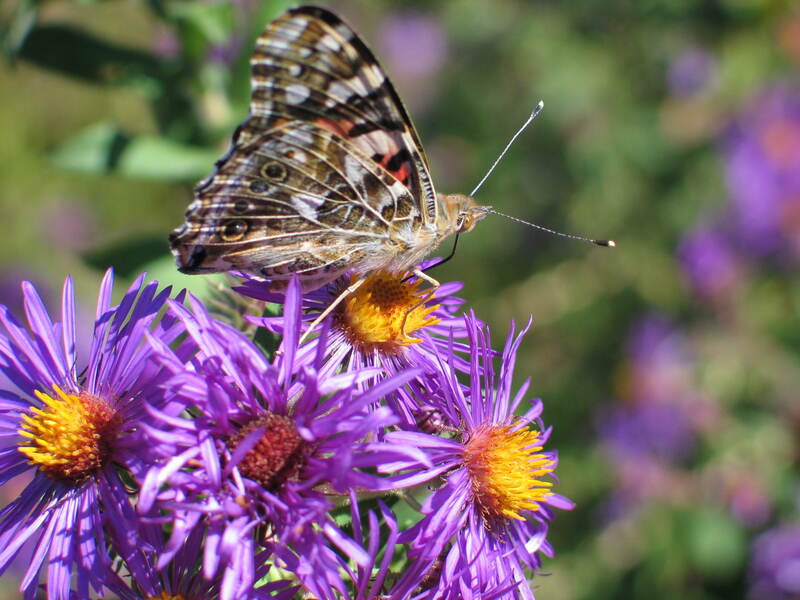 Pollinators live in our neighborhoods and utilize plants in our landscapes. By strategically planting even a few native wildflowers, grasses and shrubs that bloom at different times throughout the year, you can make a positive impact on their survival. When it comes to helping the natural world, diversity is crucial. Increasing the natural diversity on your property will ultimately benefit wildlife. The new normal is understanding that we can positively or negatively influence the natural world by the plants we choose. Even a few native plants in your garden, combined with those of your neighbors, will be extremely beneficial. Over the years, I have learned that there is no right or wrong way to use native plants. If you don’t like something, or if a plant isn’t happy, you can always try something else. In most cases, you can just move it. I have to remind myself that these plants are so much better than a turf lawn. I can’t tell you how many times I have been rewarded for my efforts in observing a beautiful flower covered with lively pollinators. To see them flying from plant to plant makes it all worthwhile. I love changes in the seasons. The dawn of spring, however – giving forth increased warmth, a variety of distinctive earthy to sweet smells, green and colorful sights, and sounds from many species of waking wildlife — is a favored time of the year. Spring-blooming prairie and woodland plants are among the first to take advantage of warmer soils and days with increasingly just enough sunshine. Their green shoots emerge early and produce colorful flowers that feed early pollinators and brighten sunny to partially-shaded landscapes. Native plant gardens connect us to our natural and cultural history. Even if you don’t use your home landscape today as your grocery store, home improvement store, and pharmacy, Plains Indians and later European settlers certainly did just a few generations ago. The plant and animals of the prairie (especially the bison) were critically important to human survival. 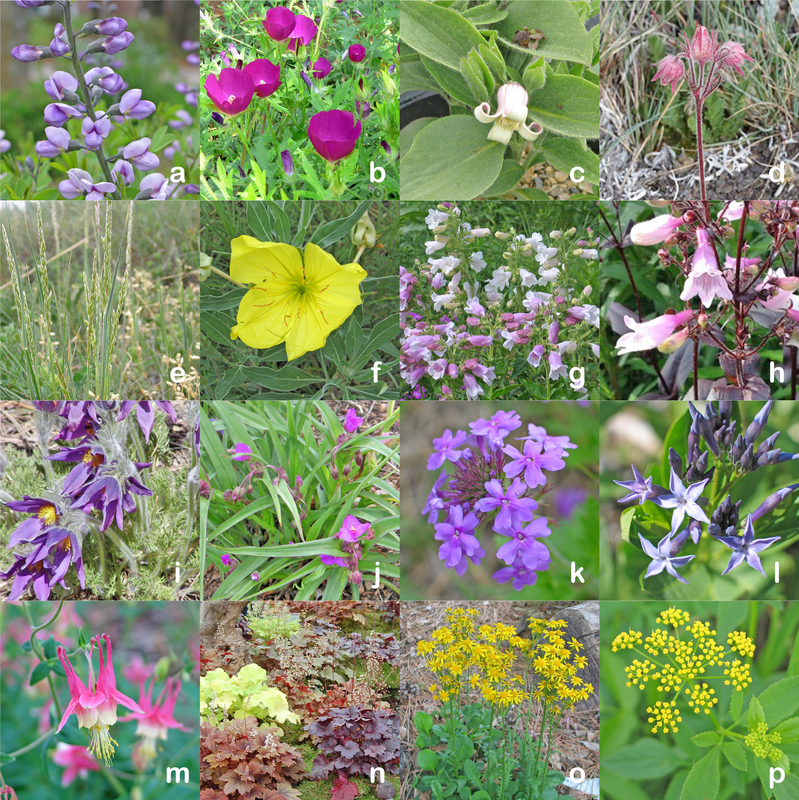 The deep roots and unique traits of native plants make them very adaptable to our Kansas climate and provide sensible and sustainable landscaping. Once established, these plants require little to no supplemental water and require no fertilizers, herbicides or pesticides if properly matched to the site. Even if you are only interested in colorful garden eye candy, this list of spring flowering native plants will provide a beautiful array of flowers to brighten your spring landscape. You can find these plants at our FloraKansas Plant Sale. Over the years, I have come to realize how little I knew about gardening the right way. So much of what I knew as a budding horticulturist was gleaned from school. It wasn’t until I had killed a few plants and tortured many others that I began to learn some basic principles that guide how I work in my own garden today. Many times, we do things to plants and flowers in our gardens for no reason, other than “that is how it has always been done” or “Mom or Dad told us to do it that way”. There may not be any legitimate scientific data backing a certain practice, but that doesn’t stop us from doing it anyhow. Begin to demystify gardening with these truths I have learned. Myth #1 Add sand to improve clay soil drainage. Truth: This takes me back to my days sitting in soils class and learning about soil particles. Clay particles are fine and fit nicely between the sand particles which forms a substance similar to concrete. Since every pore is filled with these particles, air exchange and drainage is reduced, if not made impossible. The better choice for clay soils is to choose plants that thrive in them, such as milkweed, indigo, bluestem, or blazing star. The result of mixing sand and clay soil-It will dry and become like concrete. 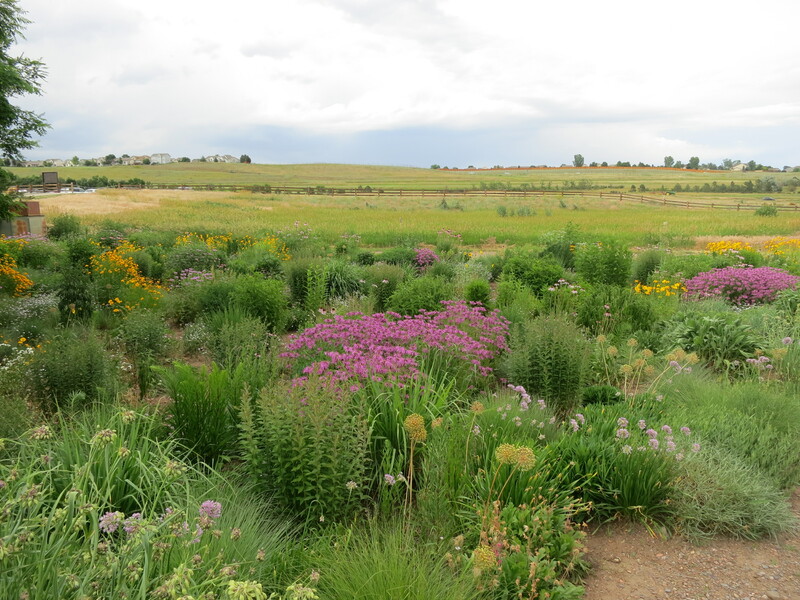 Myth #2 Drought-tolerant plants (native plants) don’t need to be watered. Myth #3 After pruning a tree, treat open wounds with a wound dressing. 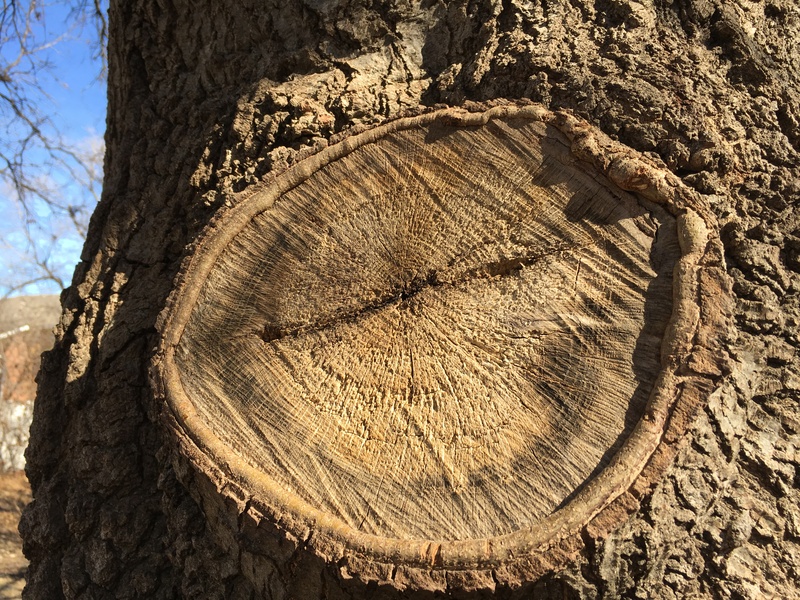 Truth: There is good research suggesting that treating a tree scar/wound after you have removed a branch is bogus. Trees are resilient and can heal themselves. Treatments can delay the healing and even lock in plant diseases. Myth #4 Amend the soil when planting trees and shrubs. Truth: At the arboretum, we have heavy clay soils. For years, I put soft soil (compost) in the backfill when I planted trees. I have come to find out, that is like planting the tree in a pot. The new roots often circle the hole, unwilling to venture into the hard clay soils. This restricted root growth slows establishment. Use the native soil in the backfill and force the tree to acclimate to its new surroundings. Myth #5 Plant a tree even with the soil line. Myth #6 Apply turf fertilizer early in the spring to help encourage new growth. Truth: Applying early spring turf fertilizer only encourages top growth, resulting in more mowing in the spring and summer. It does very little for the root system of the turf. In our climate, the focus needs to be on developing healthy roots. That is why we fertilize in the fall (October and November). Turfgrass growth slows in the fall as nutrients are translocated to the roots for the leaves. This translocation process stores energy in the roots in preparation for next year, helping it survive the summer with less stress. Myth #7 If a plant is under stress, it should be fed. Myth: If a plant is under stress, fertilizer will not solve the problem. Usually it is environmental (dry soils, overwatering, compacted soils, root damage, etc.). 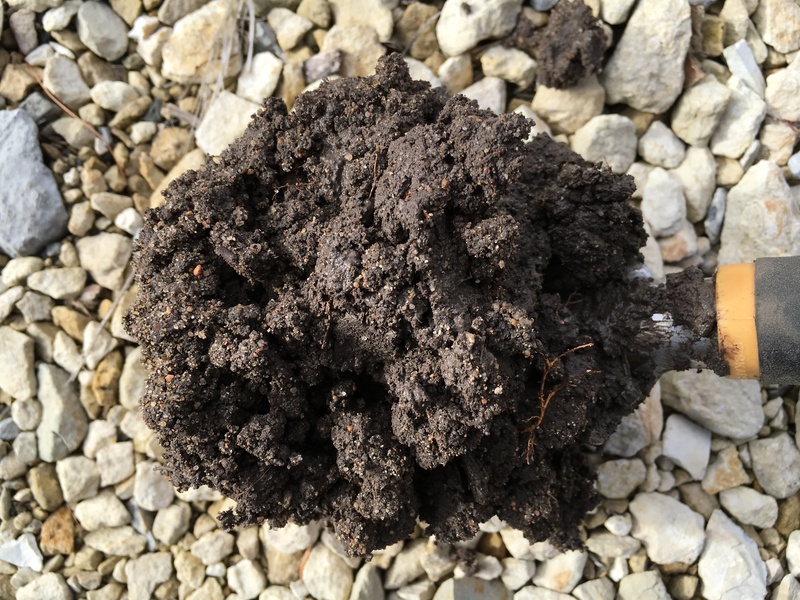 Our soils generally have adequate nutrients, so diagnose the problem to find the solution. Myth #8 When it comes to fertilizers and pesticides, if a little is good, twice as much is better. Truth: I have experienced this in a number ways over the years, from dead grass to burned foliage, causing me a few sleepless nights. There are precise directions for a reason and label directions have been carefully developed to help you avoid catastrophes. We want immediate results to a problem so we “kick it up a notch”. BAD IDEA!!! Too much of a good thing is usually harmful and often results in unforeseen consequences. Using the exact recommended dosage is always the best practice. Trust me. These are some truths I learned the hard way. Unfortunately, some plants took the brunt of my misinformation. 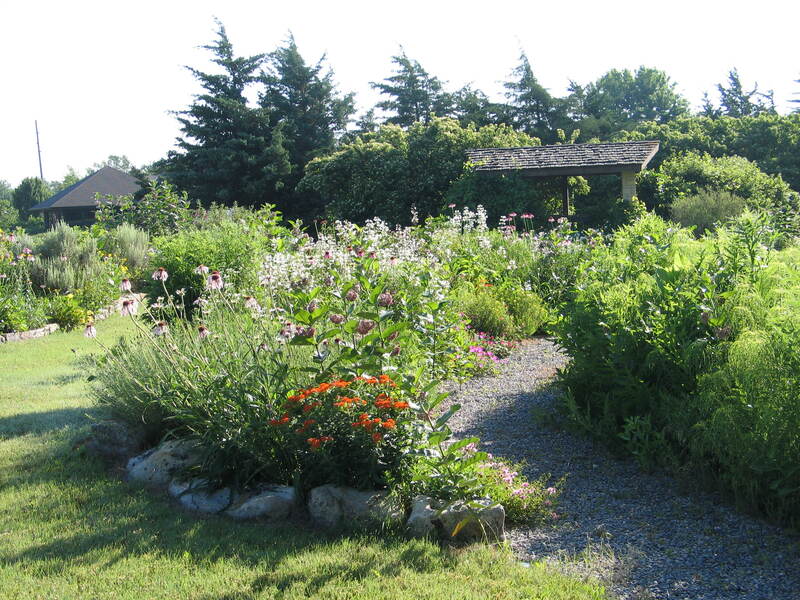 Myths, old wives tales, and folklore abound in the world of gardening. Learn from my mistakes. You and your plants will both benefit. Though we surely still have a few cold days ahead, it is clear that spring is approaching. This warm spell is bringing the birds out singing and I spy little bits of green sprouting in our clumps of native grasses. This is a sign that it is time to think about spring clean up and preparing garden beds for new growth. Here are a few guidelines that I am following as I begin to tidy up the arboretum. …start your garden clean up when the ground is too soft. If the soil is still overly moist from the winter wet, you will be creating compaction everywhere you and your wheelbarrow go. If it is truly muddy, the aftermath of your foot traffic could result in uneven ground, squished or exposed roots, and new puddling areas. I know we are all itching to get outside and play in the dirt, but if your garden spot is still soaked, wait. When cleaning up large areas of native grass, I hop on the mower and let it fly! If you are mowing your grasses, be sure to set the blades up higher than usual so you don’t strip away new sprouts. …cut back all those tall native grasses. It is nice to leave them standing through the winter to add color and interest to the winter landscape, but now is the time to shear them back, leaving only 4 to 6 inches left. Make sure to give grasses a haircut early in the spring so that the new growth doesn’t become entangled with the old, creating quite a hassle. And if you didn’t clear away all your annuals last fall, make haste! Soggy and molding annual debris is the wrong kind of compost and can lead to garden disease, providing nesting sites for microbial pests. Clear it out of there, pronto! …go hacking away at your woody perennials like a maniac in an effort to neaten them up. Some species bloom on last years wood, others bloom on the current year’s wood. Before taking pruning action, do your research and ensure that you aren’t lopping off the buds of spring flowers. 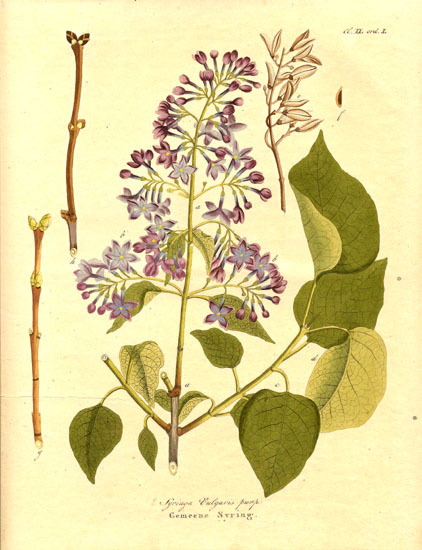 Lilac (Syringa), Forsythia, Mock-orange (Philadelphus) and Beautybush (Kolkwitzia) are all woody species that should NOT be pruned in the spring because they bloom on last year’s growth. Crypemyrtle (Lagerstromeia) and Butterfly bush (Buddleia) are just the opposite – spring is the perfect time to shape them and remove split or diseased branches. These species benefit from an intense spring pruning, because it jump starts the new growth that buds are formed on. …compost as much of your debris as possible. Turn your pain into gain and make your own organic matter to put back in the garden. But be careful – tough-to-contend-with weedy species should not be incorporated into the pile as they will likely reseed themselves. If your compost is well balanced and hot enough at its decomposing center then weed seeds don’t stand a chance … but whose compost pile is that perfect? If I am worried about the seeds of a certain plant coming back to haunt me, I just don’t take the chance. DON’T stay inside, DO enjoy the outdoors! January and February is the time to make your action plan for the gardening season and when those few warm days hit, get outside and make your plans happen!